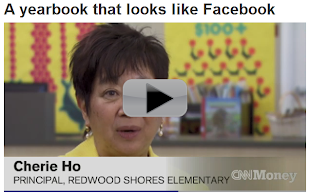 TreeRing, the company that’s helped more than 1 million kids across the country personalize their school yearbooks, today announced the launch of a new product designed to help moms get the best photos of their children off their phones and into beautifully printed books. Called TreeRing Memories, the iPhone/iPad-only app is designed to help families preserve precious moments and keep track of their child’s early milestones while automatically placing those photos into baby books—all from their smartphone. More than 75% of moms told TreeRing they think about working on a baby book at least once a week, while less than 25% report ever completing a book (it’s even less if there’s more than one child in the family). Creating baby books. TreeRing Memories automatically groups photos that are added to the app and puts them into chronologically ordered, beautifully designed books that moms can print. 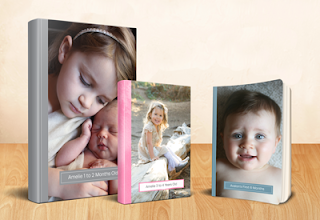 Everything is editable and customizable, and, if a mom wants to create a book for a special event, like a first birthday party, she can do that, too. Tracking milestones. Moms can swipe through dozens of memory prompts within seconds to recall special moments and memories, like an early ultrasound, how parents shared the good news, special visitors after birth, funny events, and memories of first experiences and holidays. Sharing among family. While there are plenty of options for sharing photos, collecting photos other family members have taken and incorporating them in a book can be a struggle. Additionally, many parents are wary of over sharing photos of their child with their entire social networks. TreeRing Memories lets family members privately share photos and milestones with a more intimate group of followers, who can add content to be included in the memory books too. With beta users and early trial users in the fold, TreeRing Memories has already made good on solving those problems for moms who have tried the app.